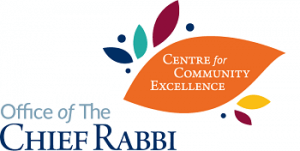 There was a strong educational element at the heart of Ealing’s ShabbatUK, with the communal dinner immediately followed by a panel discussion that featured the Rabbi’s wife, Zelda Vogel, a judge and a consultant urologist. Each brought his/her own perspective to the current affairs discussed, which in turn stimulated debate amongst the audience. Guest Chazan Ronen Shulman brought some extra ruach to the Kabbalat Shabbat service, while his wife gave a well-received talk on the significance of Erev Shabbat. “An excellent idea. It was so very enjoyable with the visiting Chazan and panel discussion”. “Excellent. Well thought out and executed. Very successful. Tremendous achievement for a small community”. “An excellent community-run event, that also attracted people who are not Ealing shul members”. The community came together for a Shabbat lunch and enhanced their experience of the day. It really enhanced the Shabbat service and day.